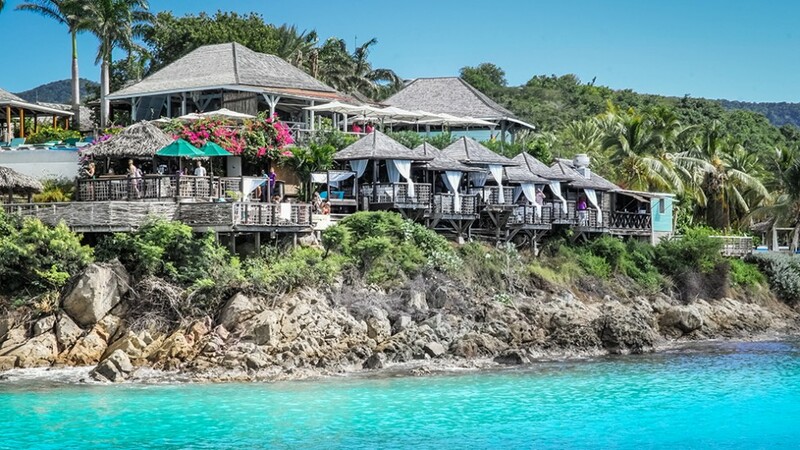 Dickenson bay may be the most developed beach on Antigua however it is still very nice and tasteful so it actually remains a firm favourite. Repeat visitors to the vacation rentals cottages and resorts in the area see the restaurants and bars fill out. 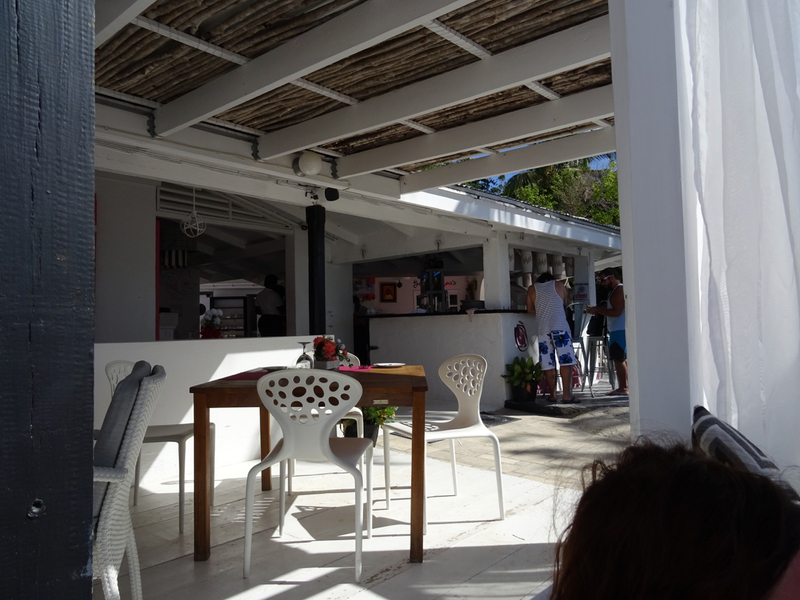 Ana’s on the Beach provides a trendy ambiance that is very Ibiza in furniture and fittings and the location right on the beach you don’t get closer to the water. 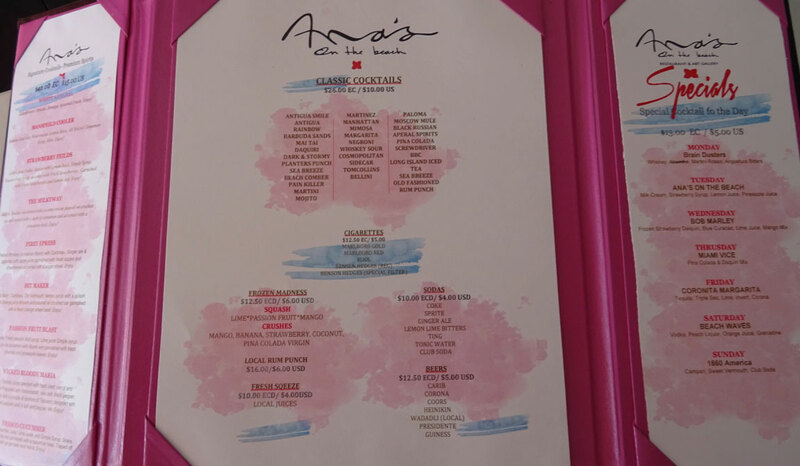 If you are staying in Dickenson Bay area then I recommend a stop here and getting that Ana’s selfie. With plunge pools and loungers Sheer Rocks has disrupted the top of the table somewhat and I’m sure they won’t be doing a Leicester city anytime soon (sorry for the football reference). 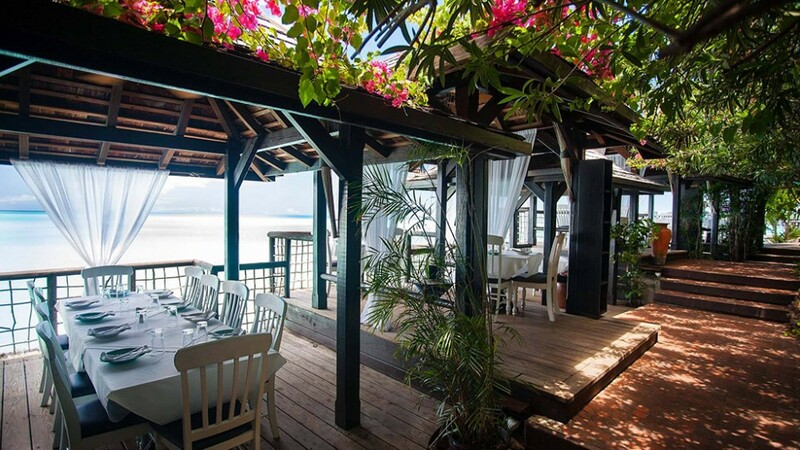 You can come and eat in stylish bougainvillea - billowing white sheer drapes – very stylish and yet very welcoming to all. Nothing in Antigua feels too preppy. 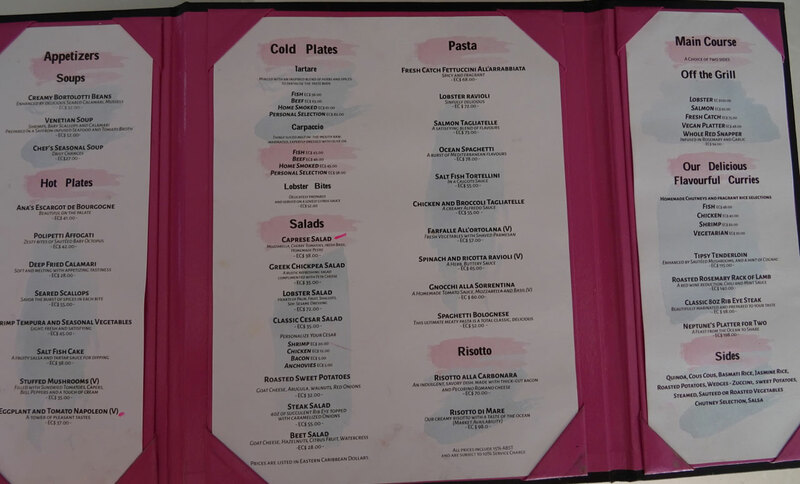 Then there is the food – rated very highly this is a serious restaurant. A video is in order..
60 pounds for a burger is not cheap but if your like me have a tight side that can get relaxed if the location is special you can find affordable eats and drinks at Jacqui O’s just don’t be shy to ask the prices for things it’s no social faux pas and you might be surprised there is value in the menu too. Make sure to get the selfie on the fantastic beach. Come here and choose your spot depending on the ambiance and your gut feeling. The great news is that you can feed and drink yourself to near death and not have to walk much. There is Japanese sushi at the Yacht Club and a nice deck area to drink your rum punches looking out across the boats harboured in Falmouth. Check out the Lime Lounge especially if they have some live music going. The institution of Abracadabra is also close by and if you time it right the whole might be empty as just up the road there could be a full moon party. Especially convenient for those arriving by cruise ship. I like the the C&C because it feels like a unique little corner in Antigua indeed St Johns where it is located. It’s not the place to spend too long in is my personal opinion but it is nice to have something to eat and enjoy some fantastic wines. It’s quite easy to park if your visiting by rental car too.